As yesterday was a holiday in Massachusetts, I headed out for a day of fly fishing. It was cold, windy, and rainy. The water was 38 degrees. 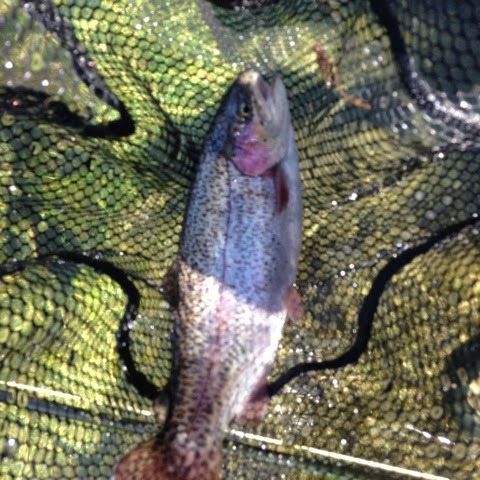 I landed three rainbows to the net, and it was a great deal of work and fun at the same time. I headed to a favorite spot. The stocked trout have spread out. Many seem to be gone, as the catch-and-keep folks have done what they’re allowed to do. I’ve read that, since trout do not have hands, they will mouth a fly to see if it is edible. The Swift trout do this and quickly spit out flies. So, it was a day yesterday of very immobile trout in cold water and very short windows of opportunity during which to set the hook. I also noticed that I did better on 6x tippet than 5x. I’m amazed how a creature with a brain the size of a pea can adapt to conditions so quickly. So, let the games begin. Until more newly-stocked trout arrive, we are back to the usual technical Swift fishery. I wouldn’t have it any other way. The trout make me work. Educated trout are fun to fish over. It's either that or wild ones that have never seen anything with a hook in it. Agreed. I spent the last 90 min. on Monday casting to the same trout. Must have tried a dozen different flies. Is that a definition of insanity? Doing the same thing over and over and hoping to get a different outcome? Was fun to be out though. I think my gear is finally dry! Ah, the Swift and its selective Trout, nice job landing some, I think it's tough at the Swift because: 1) they get relentlessly pounded day after day, 2) the distance between the Bubbler and the tree pool/hatchery hole isn't very far so there aren't many secret spots, 3) Most of us use similar techniques like tiny (22-32) flies and super thin flouro tippet. These fish quickly go from rookies to veterans. I still love the Swift though because of the challenge and the extra large stockers they usually put in. It's my favorite place from the dog days of summer through Christmas. Yes, it's definitely an interesting river. I'm amazed how trout can get educated so quickly. I caught 15 on Wed., and 3 on Monday. Granted that Wed. was sunny and there was a lot of bug activity, and Monday was cold. 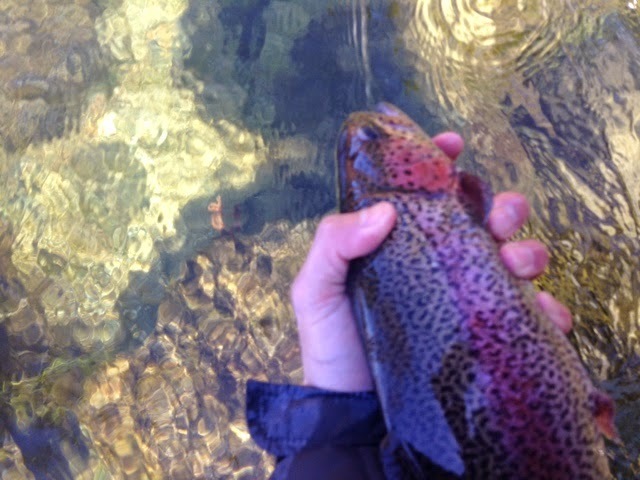 But, the trout had migrated in just a few days' time to "hard to reach" areas. And, Dave, would you be willing to write up a guest post on the Swift? You don't have to reveal any secrets, but I only started fishing it last fall, and so, I suspect your knowledge will be more valuable to readers than mine!